Review: Excellent trail system but lacking a bit in signage. Take a happy snap of the map at the local bike shop and you'll be alright. 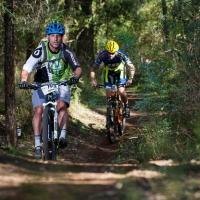 Review: Excellent fun trail- even better if linked with the other Tathra trails. Well sign-posted. Review: As the previous reviewer stated a good mix of climbing and descent. Some tight sections through the trees, a great creek section and the quarry is fun. Fire Shed Trails MTB Trail 4.50 out of 5 based on 4 ratings. 4 user reviews.